Priced from the low $300,000s, homes at Northstar range from approximately 1,813 to 2,438 square feet, have up to five bedrooms, three and one-half baths, and two- and three-bay garages. BEAUMONT, CA, June 24, 2017 /24-7PressRelease/ — Pardee Homes has announced the final few homes are now selling at Northstar. Regarded by many buyers as the go-to neighborhood for innovative styling, flexible floorplans, energy-saving design and fabulous indoor-outdoor living, Northstar has been a stellar addition to master-planned Sundance since opening for sale in 2015. Priced from the low $300,000s, homes at Northstar range from approximately 1,813 to 2,438 square feet, have up to five bedrooms, three and one-half baths, and two- and three-bay garages. Great room living accents these beautiful floorplans which boast covered patios, dens and bedroom options. Kitchens are a chef’s delight with gleaming slab granite countertops, roomy preparation islands, General Electric stainless steel finish appliances and a convenient storage pantry, and elegant master bedroom suites with large walk-in closets provide a welcome retreat for busy homeowners. Like all homes built by Pardee, Northstar features the LivingSmart package of amenities that increase energy-efficiency, save water, save money and contribute to the homeowner’s piece of mind. Included features range from a tankless water heater, dimmer switches and Low-E spectrally selective glass windows to a handy recycling center in the kitchen and water-efficient landscaping in the front yard. Northstar is part of The Highlands, the newest village in the master-planned community of Sundance, which offers homeowners exclusive access to The Highlands Club featuring a beach-entry pool, spa, tot lot, shade structures, BBQ area and private restroom building. Sundance is near plenty of convenient shopping, major business centers in San Bernardino and northwestern Riverside County, and Palm Springs, as well as in close proximity to prominent regional parks, hiking, biking, camping and fishing at Big Bear and Lake Arrowhead in the San Bernardino Mountains, and several nearby golf courses. 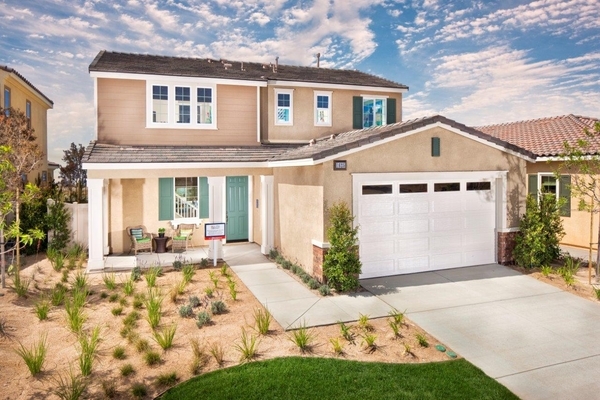 For more information about Northstar call (951) 312-0036 or visit www.pardeehomes.com. To visit from I-10, exit at Highland Avenue in Beaumont and go north, then turn left on Cougar Way.